Music superstar , Innocent Tuface Idibia popularly called 2baba, has threatened a legal suit against his former band member, Blackface, for accusing him of song theft. 2Baba, in a letter sent through his lawyers, demanded that Blackface apologises for making ‘false, misleading and the defamatory’ remarks about him. It stated that Blackface (real name Ahmedu Augustine) should tender a general unreserved apology for all statements made and published by him in the past as well as cease form making further defamatory remarks. He gave Blackface a one-week ultimatum to retract his statements or face legal actions. He also argued that he wrote the award-winning ‘African Queen’ song for 2Baba, and he was yet to be compensated. He accused 2Baba of stealing his songs like “ hiphop and R&B music group” and the mega-hit, “African Queen”. He also made other allegations recently on Instagram accusing 2Baba of trying to sabotage his career. The warring artistes were members of the Plantashun Boiz’ squad that released the popular albums ‘Body and Soul’ and ‘Sold Out’ in the years 2000 and 2003 respectively. After the disbandment of ‘Plantashun Boyz’ in 2004, its members started their solo careers. 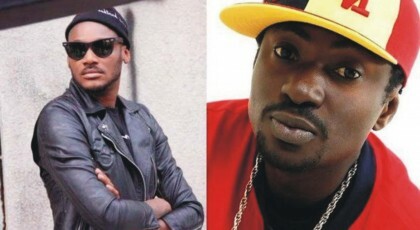 However, ten years after the break-up, the “Faze vs Tuface” beef, has continued unabated. Plantashun Boyz were a Nigerian hiphop and R&B music group. The group was formed during their college years in Enugu, at the Institute Of Management And Technology (I.M.T Enugu). The group was managed by Owoyemi Akinwale Nathaniel (Natz), Ifeanyi Oji (Odogwu), and Obasi Leonard (Baba Leo). As a result of the Plan B reunion album, Plantashun Entertainment Ltd. Management was born in 2007. The Plan B album was distributed by T Joe.